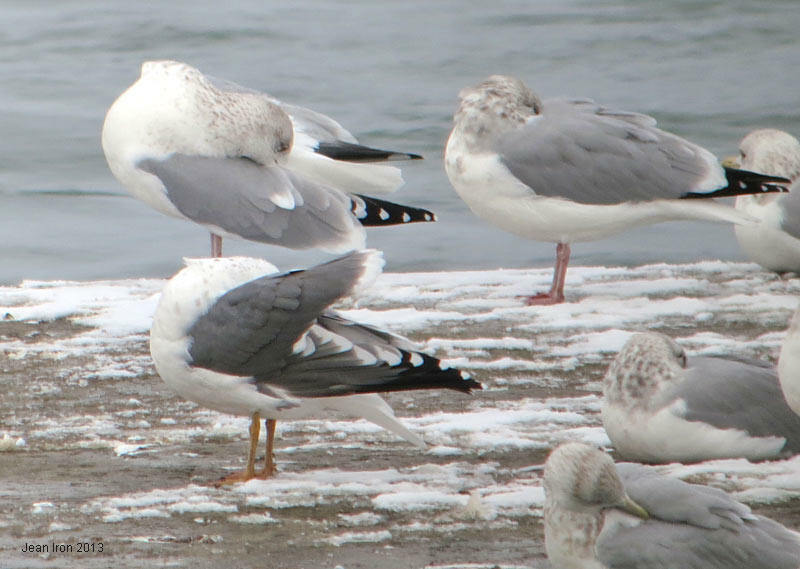 This gull was on the wall at the control gates at Chippawa, above Niagara Falls, Ontario on 28 November 2013. 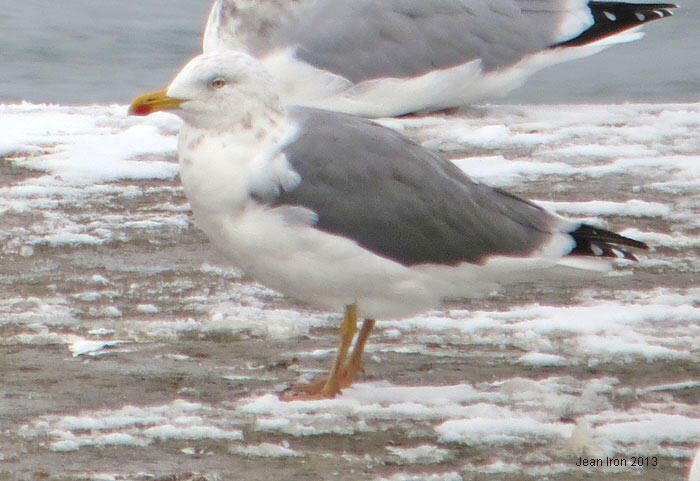 It has yellow legs, a mantle several shades darker than Herring, and is about the same size as surrounding Herring Gulls. 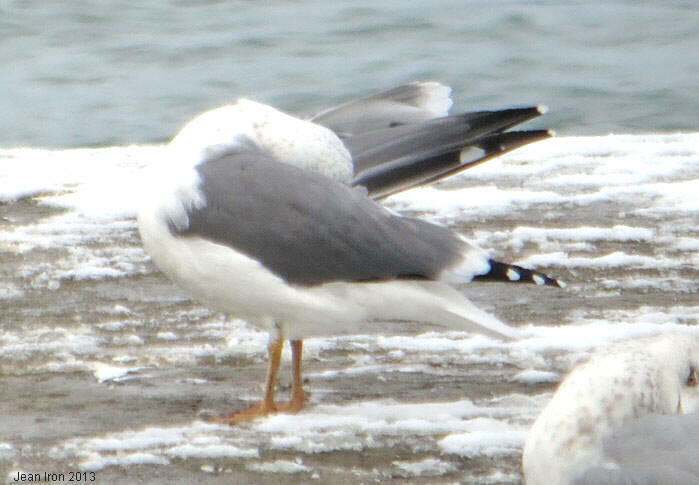 It has limited winter head streaking and some blotchiness on the neck. It was first seen on Saturday 23 November 2013 and has generated much discussion about its identity. 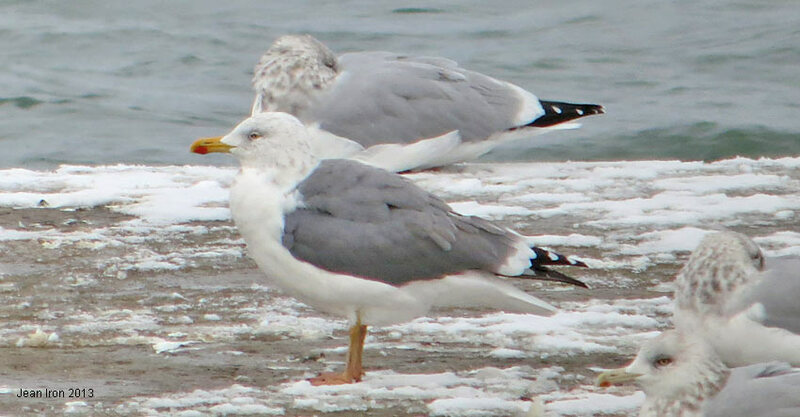 Photos have been sent to Yellow-legged Gull experts in Europe for their opinions. It is still growing P9 and P10.